In the not too distant past students could apply for credit, be pursued by credit card companies and granted credit all with no verifiable way to pay for that credit and no credit history. That was before the Credit Card Act of 2009. Gone are the days when you could get a t-shirt or some candy bars in exchange for applying for credit cards. But credit card companies are still allowed to market to students on college campuses. The law just prohibits them from giving away tangible items like t-shirts on campus, but the law doesn’t forbid intangible items, like a coupon for a free sandwich at a local restaurant or a statement credit on your new credit card. Credit card companies can give away tangible items, just at a location that’s off campus. In many ways the rules for college students is commendable. It may save many college students from graduating with credit card debt along with student loan debt. But students still need a way to learn how to maneuver in a society where credit is unavoidable. Having too much credit and no income to pay for that credit is definitely a problem for students; but having no knowledge of how to manage credit can present its own set of problems. Students must learn the valuable life skill of building credit, managing debt, saving money and investing. Apartments. Your credit score is used to determine whether you can rent an apartment. A low or non-existent credit score will likely get you denied. Even if you live on campus, the time may come towards your junior or senior years that you want to live off-campus. Deposits on Utilities. Utilities like electricity, gas and even cell phones may require a security deposit when you have no-credit or low credit scores. When it comes to renting an apartment, a landlord can require higher security-deposits with the absence of good credit scores. Better Loan Rates. If you need to take out a private student loan, refinance a student loan, get a personal loan or plan to buy a car; your credit scores could be the difference between you getting approved or denied. You may still get approved for a loan with low credit scores but the terms and interest rate will likely not be favorable. Rewards credit cards. Rewards credit cards with low rates are often reserved for people with good credit scores. Rewards come in the form of cash back on every day items, airline miles and hotel points (think Spring Break). 1. Get a Co-Signor. Students can build credit with a Co-Signor. A co-signer can be your parents, family members or friends with good credit. The Co-Signor signs an agreement to pay off a loan if you default. The Co-Signor’s good credit acts to vouch for a person with new credit or no credit in order to get approved. 2. Authorized user accounts. Get a family member with good credit to add you as an authorized user on their account. This will give you access to their credit line and the account will be reported on your credit files. Their credit history will instantly become part of your credit history so make sure the account is in good standing. Authorized users are not financially responsible for making payments on the account. 3. Secured Credit Cards. With secured credit cards you put up a deposit as collateral to secure the credit card. This way you set your own limit. Secured credit cards are typically much easier to qualify for because you are using collateral to secure the credit line. Be aware that not all secured credit cards are created equally. Pay attention to the fees associated with any credit card. If the fees are too much, you may want to reconsider. The OpenSky® Secured Visa® Credit Card requires a low $200 to start which is secured by fully-refundable FDIC insured deposit. 4. Campus Credit Union. 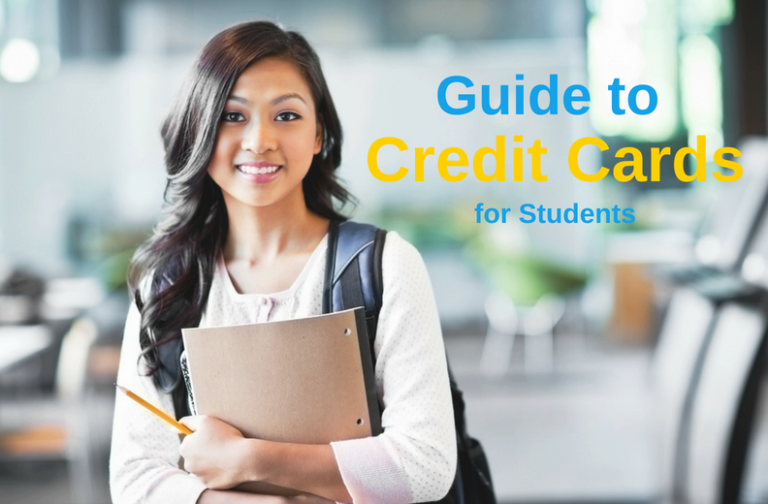 Most colleges and universities have credit unions or are affiliated with credit unions where some financial products are specifically designed for students. The credit unions are good sources for student loans and most offer unsecured and secured credit cards at great rates. 5. Bank accounts. The foundation to build good credit is having a savings account. 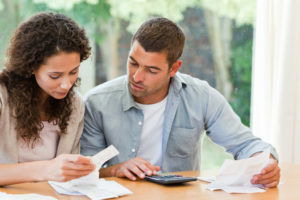 Most credit issues arise when people lack the funds to pay bills on time. Payment history is the most important portion of your credit score (35%). When you have a healthy savings account that earns high interest, it serves as an emergency fund. Free checking accounts allow you to keep more of your money. Additionally, building a banking relationship helps with future financial growth. Banks give you access to a variety of financial products. 6. Prepaid Cards. Don’t put off getting your first real credit card. And, don’t expect to build credit with a prepaid card. Many banks are rushing to design prepaid cards specifically for students. Prepaid cards can help you manage and store money but they do nothing to build credit. Plus, prepaid cards offer no interest on the money loaded to the cards. Credit education is as important as academic education. Knowledge in credit empowers you to make wise decisions and cut through the confusing world of credit. Manage Credit. Exercise restraint when using credit cards, they are not free money. In order to build credit you must pay your bills on time and never go over the limit of the credit card. In fact, in order to build really good credit, keep your balances low. Do not charge over 30% of your available credit limit. That means if you have a credit line of $700; do not charge more than $210 of the available credit limit. Maintaining low balances will go a long way in building excellent credit scores. 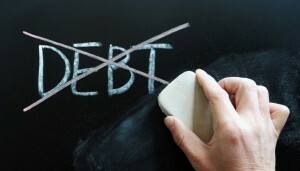 Manage Debt. Students must keep in mind credit cards should be kept active, but with small charges, like textbooks, not the latest version of PlayStation. You must use your credit card on a regular basis in order to build a good credit history; but, the charges should be kept to a minimum, something you can pay off quickly and on-time. Never Pay Late. Late payments are a huge contributor to low credit scores. Payment history accounts for 35% of overall credit scores. Paying late is a credit score killer! If at all possible, pay more than the minimum due when the bills due. The ability to pay more than the minimum lets lenders know you are not only financially capable of paying your obligations but you also manage credit well. Free credit scores. There are many credit scores but FICO Scores are used by 90% of lenders. FICO scores are the ones you want. You have 3 FICO credit scores because each credit bureau calculates a FICO score based on information contained in your credit files at the 3 major credit bureaus: Experian, Transunion and Equifax. You’ll have to pay for credit scores. Sites like CreditKarma offer free credit scores but you want your FICO scores. They can be purchased at myFICO.com. APR stands for annual percentage rate, and it is the interest rate charged on credit card balances expressed in a standardized, annualized way. The APR is applied each month that an outstanding balance is present on a credit card. A yearly fee charged by a credit card company each year for use of a credit card. This is a separate fee from interest rate on purchases. Annual fees were once very common. Many credit card issuers got rid of their annual fees to compete and draw new customers. Any person who has permission to transact on your credit card account but is not responsible for paying the bill. Authorized users differ from joint credit, in which both parties are obliged to pay. The process of transferring an outstanding balance from one or several credit card accounts to another credit card account. This is often done by consumers looking for a lower interest rate. Many credit card issuers offer introductory balance transfer APRs that are lower than the standard rates. A credit score is a three digit number that shows how well a person has handled debt. The higher the number, the better. High scores can qualify for larger loans at better rates. Low scores will get poor terms, or denied. There are a variety of credit scores with FICO scores being the most widely used by banks and lenders. A credit report is a compilation of your credit history with banks, lenders or a business. It contains payment and account history and credit inquiries. Credit reports are viewed by lenders in deciding credit decisions and on what terms. Credit scores are determined by the information in credit reports. 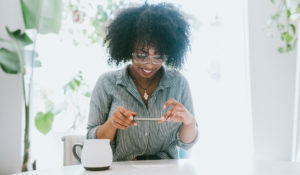 In the United States, three major credit bureaus -- Experian, TransUnion and Equifax -- track individuals' and businesses' credit histories, and compile them into credit reports. Credit card issuers and other lenders use credit histories to decide whether to provide customers with credit, and on what terms. A credit card is a payment card that is accepted by merchants, and which can be read at the point of sale. Credit cards offer revolving lines of credit to cardholders, which means they have the ability to pay balances over time. Secured credit cards can be used exactly like unsecured credit cards except they require collateral. That collateral is a cash deposit with the issuing bank for approval. They are designed for people with no credit or poor credit. Most credit cards have a grace period for “new purchases.” The grace period extends from the time you make a purchase to the due date of the monthly billing cycle when you made the purchase. As long as you pay off purchases by the time your monthly statement is due, you will not be charged interest on the purchases. An interest rate is the price a lender charges for loaning money. On credit cards, interest rates are a little trickier, because lenders set multiple interest rates. 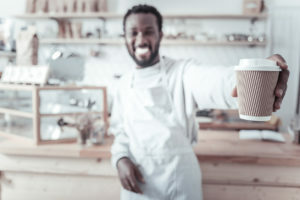 For example, you may have a low, teaser (introductory) rate when you open an account, followed by a higher standard rate for purchases, which turns into a penalty rate if you pay late. Failure to make at least the minimum payment due so that it reaches the creditor by the due date on the Billing Statement. The minimum amount of money you are obligated to pay each month against your credit card balance. It is determined by the size of the balance and the formula the lender uses to determine the minimum amount due. Terms and conditions is the common name for the document in which credit card issuers describe in detail their practices. After a consumer applies for a credit card and receives it in the mail, the first use of the card turns the terms and conditions into a legal contract. Rewards cards. Rewards cards help you earn cash, points or miles from your everyday purchases like eating out, groceries, gas and gadgets. No annual fee. You may be okay with paying an annual fee. It’s up to you. 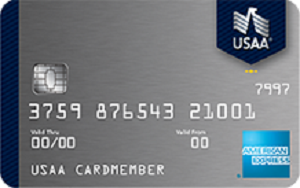 Annual credit cards fees can range from $29 to $2,500 for the invitation-only American Express Centurion. Often, the higher the fee, the better the benefits. Annual Percentage Rate. APR is the effective interest rate you pay if you borrow money on a credit card throughout the year. To avoid paying interest, you must pay off your statement balance in full by the time your credit card bill is due every month. Mobile App. 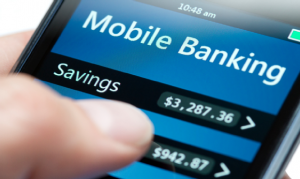 Mobile capabilities make it simple to keep track of your statements, limit, and purchases. Extra benefits. Many credit cards come with extra benefits, like extended warranties on purchases. Free credit score. Many credit card issuers offer a free FICO score. It’s typically just from one of the major credit bureaus, but nevertheless it’s free. Plus they often come with free credit monitoring tools which can be useful for anyone working to build up their credit. No foreign transaction fee. As a student you may be interested in traveling outside of the U.S. to further your education. No doubt you’ll need a credit card for expenses and safety. With a credit card with no foreign transaction fees you won’t be charged extra for every purchase. Some cards charge a fee of up to 3%. Start building your financial future—while earning more cash back for the things you buy most.